Without synchronization between sales and marketing, the business suffers. According to Aberdeen Group, the lack of integration of sales intelligence with sales and marketing systems causes the biggest gap between top sales performers and under-achievers. However, fewer than one out of 10 B2B companies report good alignment between their sales and marketing organizations, SiriusDecisions research shows. Weak processes between sales and marketing have made it challenging for sales and marketing to work together successfully. While delivering immense value, existing CRM and marketing automation systems don’t deliver a complete buyer picture for the organization. Furthermore, this data has not been easily shared across departments. Today, however, sales tools are emerging that fill the gap between CRM and marketing automation systems and give businesses a more accurate and consistent view of their buyers. Insight into how buyers respond to content. By gaining this insight, marketing can adjust their messaging to better align with customer needs and pain points throughout the entire buying process. Marketing automation scoring is integrated with any sales tools scoring to deliver a unified number to qualify the buyer. All of these things help marketing better understand what is needed for lead nurture and allows sales reps to quickly follow up with relevant information. In a selling environment with more informed consumers, differentiation has become essential. Nearly half of best-in-class companies prioritize the importance of personalization of customer conversations, Aberdeen noted. Provide a depth of knowledge sufficient to help sales and marketing spot top leads and tailor customer outreach. Sales technologies deliver key insights to bridge the gap between sales and marketing teams. By helping to establish a stronger connection between sales and marketing, these technologies can streamline processes and increase productivity. But, just like a three-legged race, it requires timely and synchronized support from all three parts — CRM, marketing automation and sales productivity platforms — to be most successful. Suresh Balasubramanian is CEO for LiveHive, Inc., whose sales acceleration platform automates sales follow-up to increase buyer engagement insights that power repeatable sales processes. Suresh is a seasoned software industry executive with more than 20 years of operations and senior management experience. 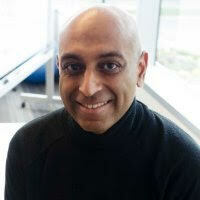 Before LiveHive, Suresh served as CEO for Armor5, and GM worldwide at Adobe Software. IDC estimates that the digital universe is doubling every two years. By 2020, the data we create and copy annually will reach 44 zettabytes (that’s 44 trillion gigabytes). While there’s a wealth of valuable content in every organization, finding specific content at the exact moment it is needed is difficult. As workforces increasingly rely on mobile devices, organizations need a new way to tackle this content challenge. Mobile teams need access to timely, accurate, up-to-date and relevant content — on the right device, in the right format, at the right time. One of three predictions I made for 2015 was that nurturing would be the marketing word of the year. Lead nurturing is so powerful you can triple the return on most marketing investments simply by continuing to work certain non-lead outcomes. Why Do Some Marketers Fail At Sales Enablement? When people talk about sales enablement, the word "content" tends to come up a lot. There’s a reason, of course. Sales enablement is all about putting salespeople in the best position to have more successful conversations with buyers, and reps rely on great content to help nurture and move those conversations forward.